We live in a time of incredible connectivity and accessibility, of unprecedented availability of knowledge and information. Yet we seem to be more and more disconnected from our deeper selves, our innate wisdom and our intuition bringing feelings of being lost, insecure and uncertain. Is this you? Releasing past trauma heals. This is well documented. Damaging beliefs, emotional blocks, unwanted behaviours, and physical and mental illnesses are some of the effects of unresolved trauma. Beliefs cause a state of being and are created in a moment where a heightened state of emotion or a trauma takes place. A belief (about one's self or the world) grows stronger each time further events occur which affirm that belief. This strengthens the neural pathways (sciencey description for the connections in the brain) bringing on increasingly intense emotional reactions. By the way, in the case of many negative beliefs, an incorrect or skewed perception causes much unnecessary pain and anguish, but even if the belief is a misperception, the feeling and the trauma response are very real and have physical effect on our body. Energy Psychology Techniques such as EFT and Matrix Reimprinting transform negative mental and emotional states, restoring balance and a sense of well being and effectively neutralising emotional triggers. Emotional Freedom Technique or EFT, sometimes called “Tapping” or “Emotional Acupuncture”, is a natural cognitive and meridian energy therapy, a combination of ancient chinese acupressure and modern psychology. 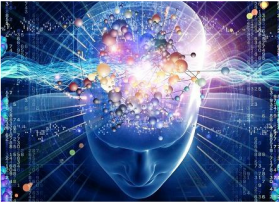 ﻿﻿﻿Matrix Reimprinting is an energy psychology technique which combines the use of the bodymind with quantum physics and New Science, for rapid personal evolution. ​ involves being aware moment-to-moment, of your subjective conscious experience, of what you are thinking, feeling and experiencing in the present moment. Here and now.